Beets. A pretty common root vegetable. Boil em, roast em, grill em. Eat em cold. Eat em warm. Beets are one of those VERY vibrant vegetables, so that means that they are crazy nutritions. Folate, Manganese, Potassium, Vitamin A, as well as a plethora of other vitamins and minerals. I have really grown to love them in the past year or two. They’re like a delicious gem that I am only just discovering. Now, if only I wouldn’t have been afraid of them on my school lunch plate back in 1st grade. 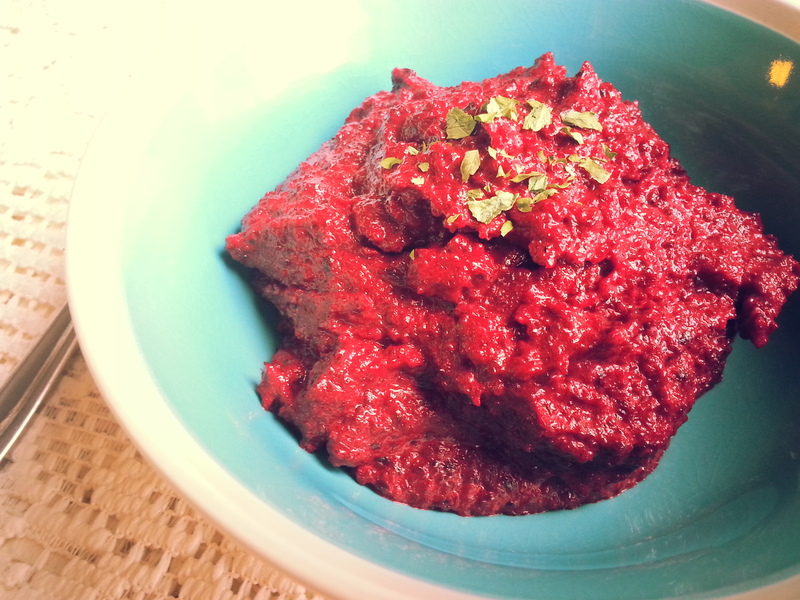 After making pureed parsnips, I thought hmmm….I wonder how mashed beets would be. So, I went to the ol’ Google machine. After reading through a few recipes, I found this one. Simple. Perfect. Below is the recipe that I used, slightly modified to make it more Paleo. 1. You could either boil or roast the beets. If you boil them, just throw them in a pot of boiling water and cook until soft. If you choose to roast, lay the beets across an oiled cookie tray and bake at 450 degrees until soft (roughly 30 min). 2. Once the beets are softened, transfer them to a mixing bowl. Add the milk gradually while you mash the beets, tasting as you go. Immersion blender, mixer, or food processor will do. 4. Add the butter and parsley and continue to mix. 5. Season with salt and pepper and adjust the dairy components if desired. I served this hot along with grilled fish. I chose to roast them. I typically prefer roasting vegetables because it takes a lot of the extra liquid out. According to the author of the recipe, the boiling method removes a lot of healthy vitamins and nutrients. On the flip side, boiling is quicker. I was really happy how this turned out. The flavor was great, creamy and perfectly seasoned. Really easy to make as well. Cook, mash, eat. I ate the entire batch with dinner, but the author of the recipe claims that they’re also good cold the next day, straight out of the refrigerator. 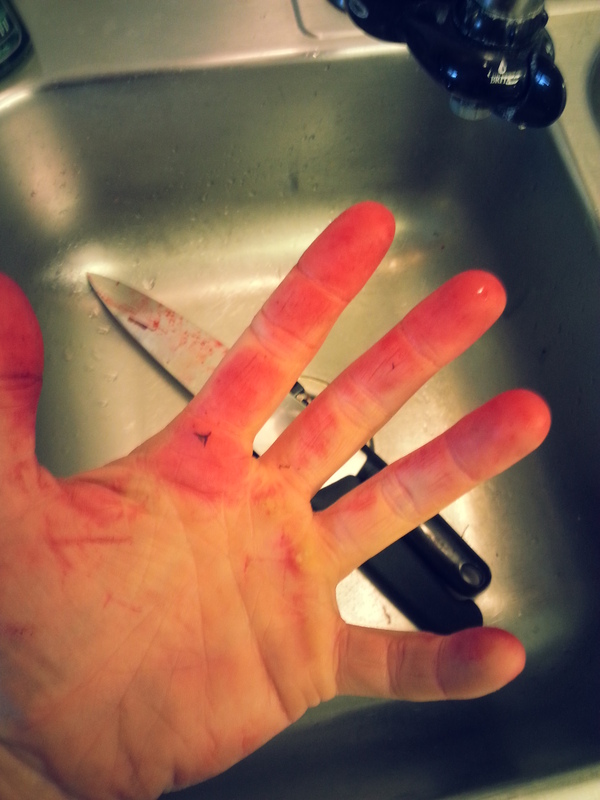 So, beets are crazy vibrantly red. They will turn your hands red. 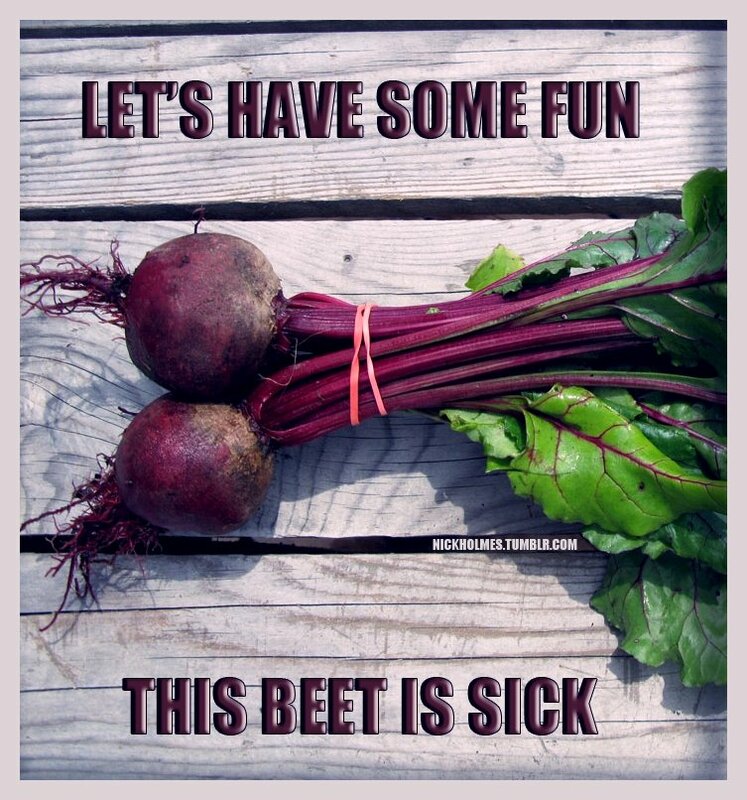 Another interesting fact about beets is that they can cause beeturia…basically pink urine. There’s nothing wrong with you, it’s just how our bodies excrete the vibrant red pigment. No need to be alarmed. You may just pee pink for a day or two. Try it out. You may find out that you in fact do in enjoy beets.